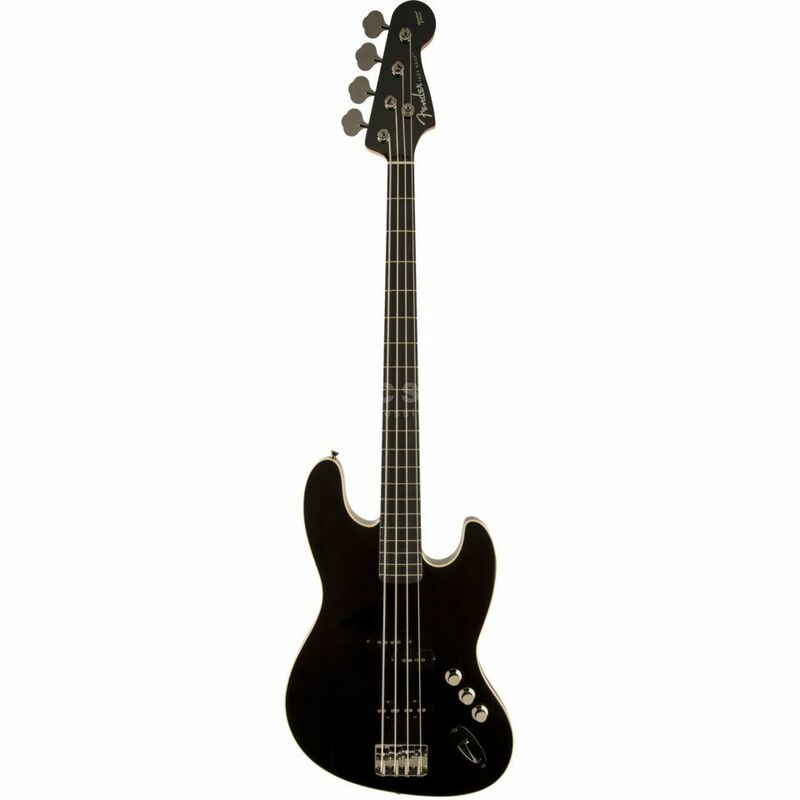 The Aerodyne Jazz Bass delivers classic and modern Fender sounds, is a real light weight and the playability is exceptional. The Basswood body has a carved top that, together with black lacquer finish and cream binding, gives this bass a very stylish look, beautifully accented by smoked hardware. The neck has the classic vintage J-bass shape and consists of maple with a rosewood fretboard. P-bass splitcoil in the middle and a J-bass singlecoil in the bridge positions deliver the right tone.